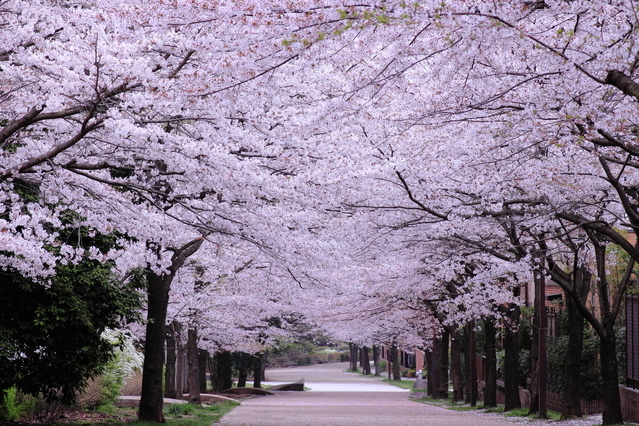 Hanami is the tradition of ‘flower viewing’ in the great outdoors.These days this usually means a big picnic under the sakura cherry trees in a local park with lots of nice food and drink! In Japan there’s a famous phrase, hana yori dango. It means to focus on practicalities rather than aesthetics, and comes from the focus many people give to the food, rather than the surroundings, during hanami outings! As you can see hanami is usually a very fun and relaxed event, and is a great way to have fun with friends and family. One of the most important steps to having a successful hanami party is scoping out a good spot and making sure there’ll be enough room. 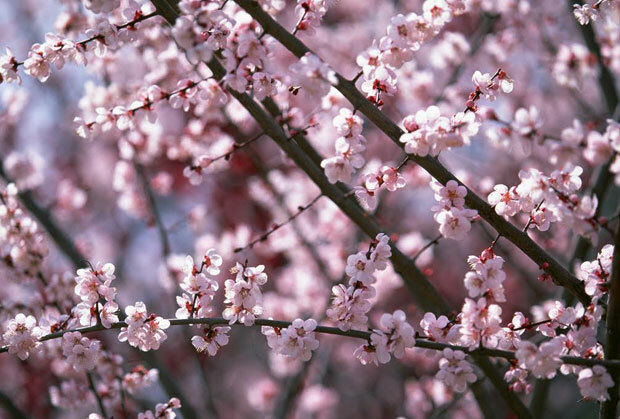 If you’re outside Japan, here are some top places for hanami and hanami events! Let us know if there’s any we’ve missed out. For readers in London we’ve heard that Richmond, St James’, Kew Gardens and Regent’s Park are the best spots. You can even spot where the cherry trees are at Kew with their tree tracker! Outside of London, the BBC have compiled their own handy dandy list of cherry blossom locations recommended by gardeners. Wrap Up Warm – It’s still chilly out, especially if you plan to continue your hanami into the evening. So make sure you pack a warm coat, blanket or some little hand warmers to keep out the cold. Feast Like a King – Hanami is not the time to get self conscious about your waistline. Especially when you think about all the calories you’ll burn hauling everything there and back! So bust out the wasabi peas and pretz and dig in! 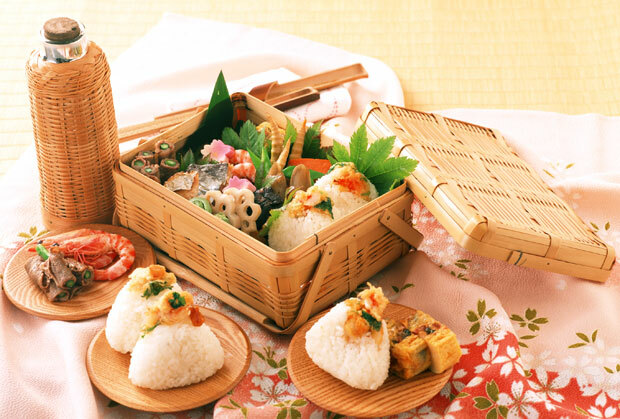 If you’re feeling fancy a hanami bento can really set the atmosphere and is a great way to celebrate. Bottoms Up! 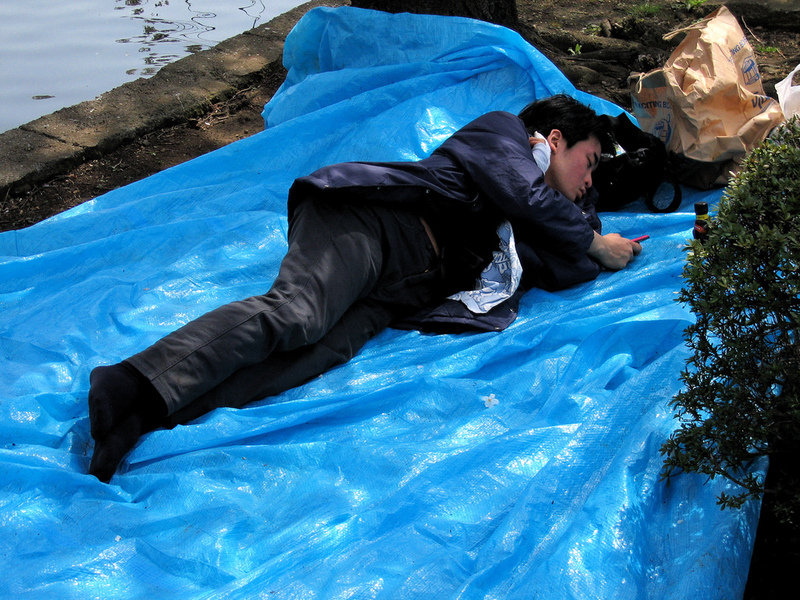 – Although there are alcohol-free hanami spots in Japan, most people take the opportunity to unwind with a few beers or some chu-hai (they’re also really useful for weighing down the picnic tarp). If you’d prefer some non-alcoholic drinks, a nice thermos of green tea or some warmed amazake are also fantastic. Don’t forget the blue tarp! Want to stock up for your Hanami party with tasty nibbles from Japan? Looking to get inspired for your own Hanami bento box? Find everything you need at Japan Centre. Thanks to Kim Ahlström at flickr for the image for the young man on a tarp. Posted in Food and tagged festival, hanami, spring. Bookmark the permalink.